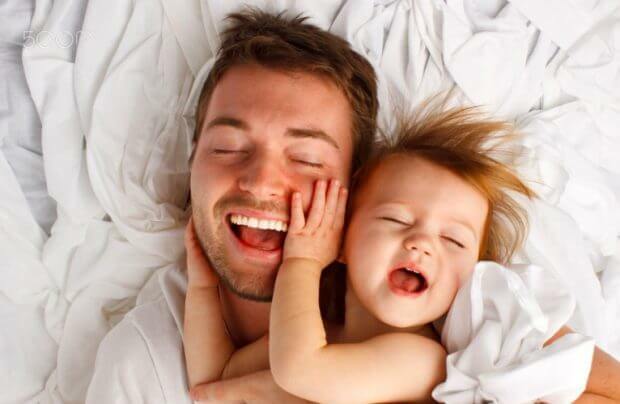 What a father can teach his little girl can’t be written in a book, but only on her heart. A father that is present in his daughter’s life and that is wise in the art of affection is something truly special. His tenderness adds beauty and illusion to his little girl’s life as she grows. Something we all know is that having a child fills us will dreams and expectations. However, as time goes by we discover that things aren’t always easy. Raising a child has its challenges. It’s full of obligations and responsibilities that require constant sacrifice. Many of the dreams we had early on may seem to evaporate into thin air. But we never lose the desire to go after new dreams that align with the hopes and needs of our children. Today in “You Are Mom”, we want to talk in detail about those hopes and dreams. A father should not only keep them in mind, but also reach them. This is without a doubt something that many of the dads out there are already doing. They are an undeniable part of their precious little one’s life. And in the future, their little treasures will turn into a great woman, thanks to their fathers. Being a dad is easy. In fact, it can be the simplest thing in the world. However, a good father knows from the start that this title is acquired over time and needs to be demonstrated constantly and unconditionally. 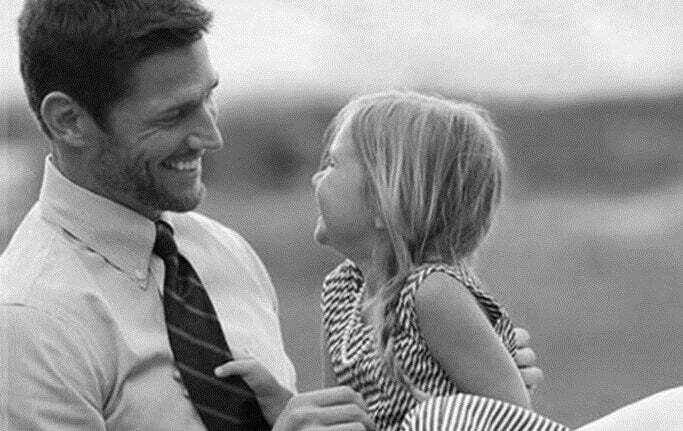 A father needs to be close to his daughter and be the kind of person she can trust and look up to. Daddy is there for every new word and every fall when his little girl learns to navigate the world. Daddy is like a big kid she can play with. But it’s not all about fun and games. Dads also guide their daughters, care for them, and counsel them. 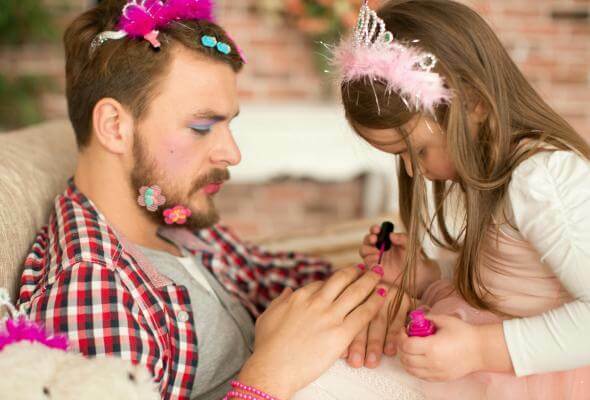 Fathers must act as mature, brave and happy adults who love themselves and, above all else, love their daughters. A father also has his sensitive side, and he will show it to his daughter by putting himself in her shoes. He will understand her and make an effort to sense her needs. He’ll try to see things from her point of view, even though it sometimes seems outlandish. Every boy and every girl needs a consistent, stable, safe and wise upbringing. If a dad makes a promise to his daughter that he doesn’t keep, this will leave marks. If a father tells her that he’ll always be there for here, it needs to be true. If later on, he makes her feel like she’s not a priority, she will come to believe that the world around her can’t be trusted. She’ll view the world as something painful, and she’ll see promises as things that come and go. A responsible father understands that keeping promises is a priority. A good father knows very well that in this world, being beautiful doesn’t make you happy. Of course, your little girl is the most beautiful and perfect thing you’ve ever laid eyes on. But a father needs to teach his daughter to be strong and brave. He needs to encourage her to fight for her dreams – the dreams she chooses. A father will want his daughter to be capable of fending for herself, to speak up for herself and defend her opinions. He will help her live according to her values. 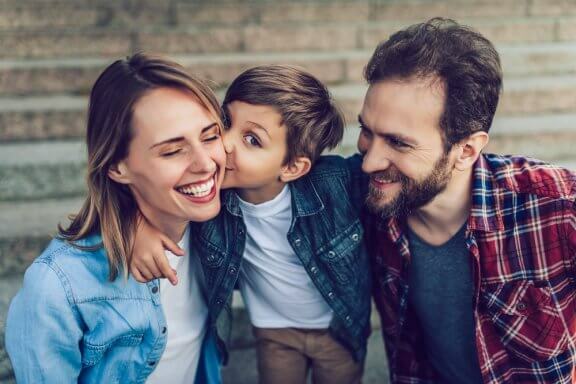 Dad will be a daily guide and lay the foundation for a healthy self-esteem. He’ll guide her in those lessons that allow her to discover the world around her. He will teach her that authentic happiness comes from the heart, and not from a pretty face. During the first years of life, dad will be that superhero that will conquer nightmares, monsters that hide in the closet, and those insecurities that happen when she takes her first steps or starts school. However, little by little, day by day, dad will start to guide with his advice. He will disperse his daughter’s fears in order to help her make good decisions. He’ll infuse her with the courage and bravery she needs to reach her daily goals, breaking through the limits of doubt and uncertainty. It’s always been said that no man is ever good enough for daddy’s little girl. However, a good father knows to give his daughter the freedom to choose her own path. She will be able to choose the people she wants in her life, even if sometimes she makes mistakes. These mistakes will serve as life lessons. There will be no reproach when she makes these mistakes. The door will always be open. Dad always understands, is always close, and reminds her that love is an adventure that’s always worth it. Although, yes, she needs to know how to choose that special someone, never forgetting how much she’s worth.